We know that city breaks as a family can be unpredictable to say the least, but in a city like Seattle, that won’t be a problem! Whatever their age, however fussy your little ones can be with food and in spite of the rain that might fall, there’s always something to top that will keep the whole family happy! Seattle is packed with interactive museums like the Pacific Science Centre, opportunities to get active outdoors by canoeing on Lake Union or exploring Discovery Park with its forest trails and Native American Cultural Centre, and rainy day options like the Aquarium. So let a local show you the family side of this dynamic, modern city so you can make new memories and create the perfect family break in Seattle! Join a Local Host who understands that days out as a family can be unpredictable! They'll know everything; from the restaurants to make a beeline for when tummies start grumbling, to the museums to delve into should the rain start pouring. Your Local Host will suggest things to do based on your family’s personality and interests, creating a customised experience that will feature the sights you’d most like to see! Find the hidden gems and areas where local families love but you might struggle to find in a guidebook. When it comes to choosing where and what to eat, your local will suggest family friendly restaurants based on your tastes and preferences. They can take you to a farmers’ market where you’ll find a variety of fresh, locally sourced produce that’s in season and introduce you to delicious street food and local delicacies! If museums are your family’s thing you’re spoiled for choice. From the Space Needle to the Science Centre to the Children’s Museum, there's a never ending selection of indoor, interactive and engaging spaces to explore, learn and discover! If you’d prefer to be outdoors, check out a kids’ skate park, canoe on Lake Union or hike the trails in Discovery Park. Spend time getting to know your Local Host who can give you advice and recommendations for other things to see and do with your tribe and suggest family-friendly restaurants. 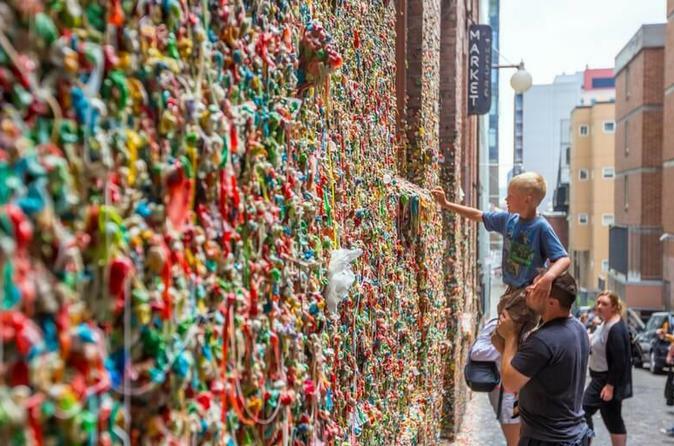 Seattle is incredibly family friendly, so you’re never far from the next exciting activity!